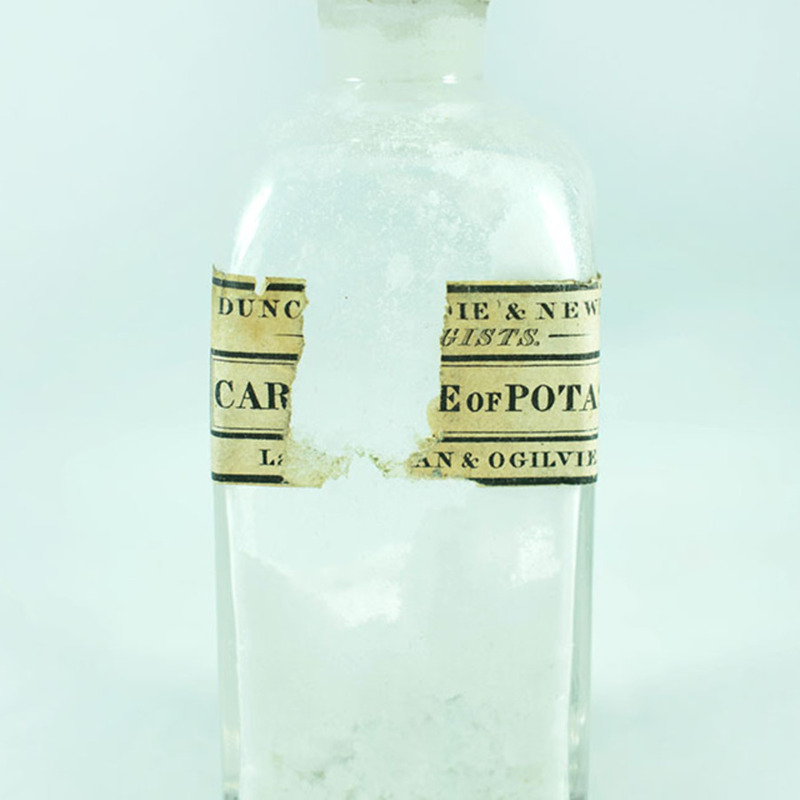 Glass bottle containing potassium carbonate, with partially torn, printed label. Part of George III mahogany apothecary's box. 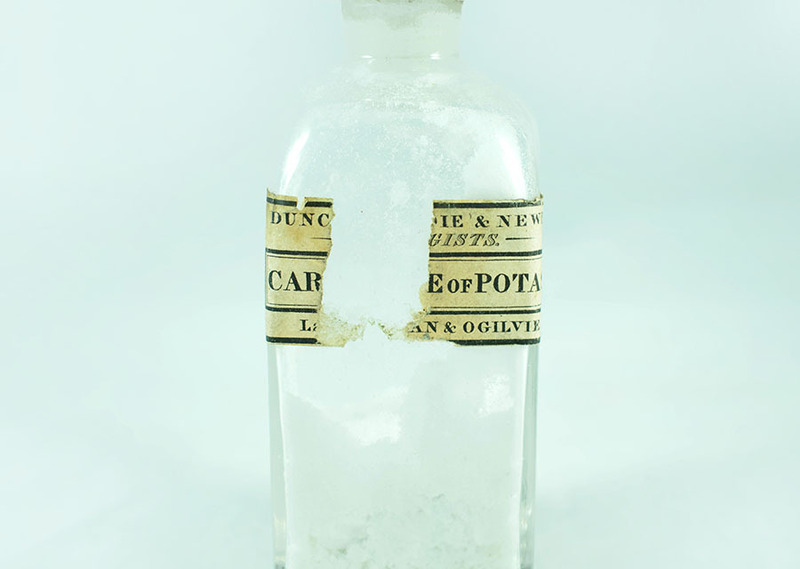 Duncan & Ogilvie; 1818-1832; druggists and Duncan, Dandie & Newby; c. 1841-1853; druggists, “Carbonate of Potash,” Heritage, accessed April 24, 2019, https://heritage.rcpsg.ac.uk/items/show/796. Description: Glass bottle containing potassium carbonate, with partially torn, printed label. Part of <a href="https://heritage.rcpsg.ac.uk/items/show/109">George III mahogany apothecary's box</a>.